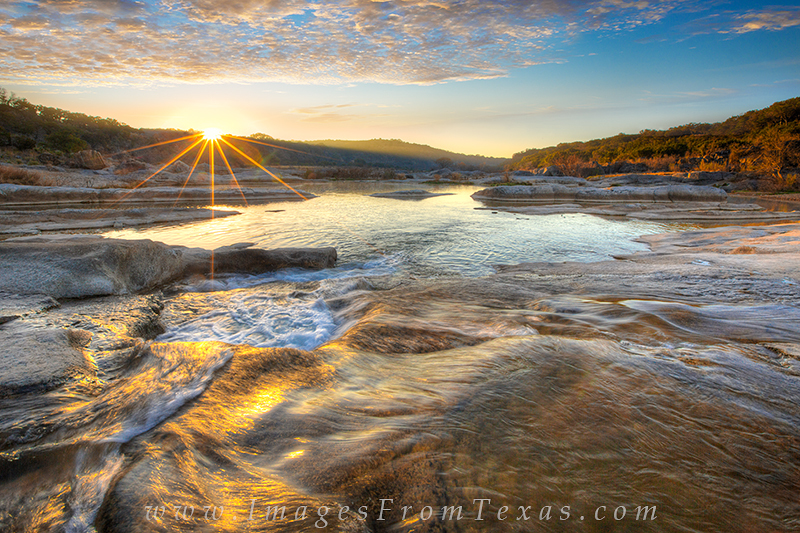 Pedernales Falls is one of my favorite Texas state parks. It helps that I live close by. Whenever there is the potential for a beautiful sunset, and when time permits, I try to get out and see what I can capture. This particular morning was the first day of March, and the sun and clouds put on a show as the first light of day streamed over the distant ridge. Mornings like this in the Texas Hill Country make me appreciate where I live, for sure. Photo © copyright by Rob Greebon.